Fire HD 7 Kindle Just $109 PLUS FREE Shipping! Down From $139! You are here: Home / Great Deals / Fire HD 7 Kindle Just $109 PLUS FREE Shipping! Down From $139! 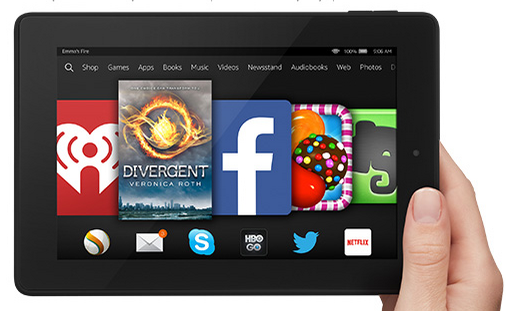 If you’ve been looking at the Kindle Fire, now is the time to strike! You can get the Fire HD 7 Kindle for just $109 PLUS FREE shipping right now! Down from $139! Try Kindle Unlimited for free—Choose from over 700,000 titles and thousands of audiobooks. Try it free for 30 days. In addition to Free Two-Day Shipping, Prime members can stream tens of thousands of Prime Instant Video titles and over a million songs with Prime Music at no additional cost.